Our daily travels on Videoslots.com take us today to Japan, the land of the Rising Sun: among the imperial palaces, its shrines and temples, its bullet trains and its national parks in the mountains among many attractions. Among the rich cultural history which makes Japan such an alluring touristic destination for tourists around the world, you will find a kind of sport which is unique to Japan: Sumo Wrestling. Sumo Wrestling, translated literally, means “striking each other.” The sport originated in Japan, which is the only country where Sumo has a professional sports status. Ritual elements in modern-day sumo, such as salt purification, are age-old traditions that have survived the test of time, while the wrestlers’ own daily lives, such as the way they dress or eat are dictated by tradition. The winning Sumo wrestler has to force his opponent outside of the circular ring or off his feet onto the floor; but since these Sumo wrestlers can be quite tough… erm, cookies… at Videoslots.com we are pleased to bring you a Sumo experience that doesn’t require any amount of huffing, puffing and heaving. 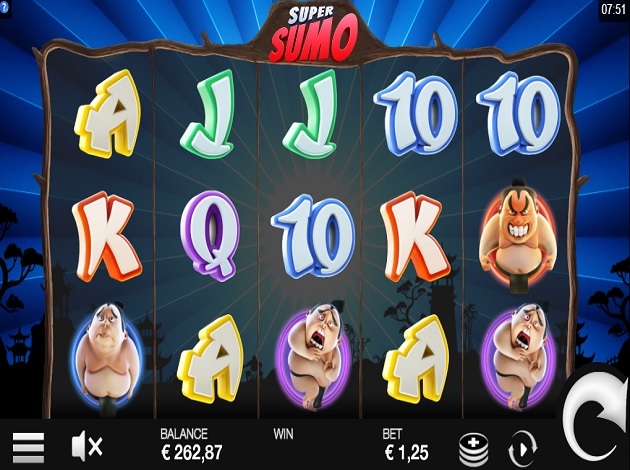 In fact, Super Sumo is a 5-reel, 25-payline online slot produced by Fantasma Games. So, are you ready to face your hulk of an opponent in Super Sumo? Super Sumo won’t bleed you dry: play from a minimum bet of € 0.25 up to a maximum bet of € 25. Spin away at Super Sumo’s five reels x three rows to land grand rewards, which you will hopefully reach by triggering its special bonus features. Not too many symbols and complications with Super Sumo, but it has to be said the bonus features are quite impressive and so is the RTP of 95.18%. This video slot has a Free Spins mode whenever three Super Sumo Symbols land on reels 1, 3 and 5 – you will receive ten Free Spins. But that is not all because during each Free Spin one of the reels at random will be covered by a Wild Sumo wrestler. It might not be very easy to land three Super Sumo symbols on the reels, but hey, nobody ever said Sumo was a walk in the park. This is not the cross-stitching championship! The other big feature in Super Sumo is the Happy Wilds Sticky Re-Spin Feature. Every time you’re in the base game and land 2 or more wilds on the reels, you will get a re-spin and the wilds will become sticky. If you land additional wilds you will receive an extra re-spin, while new wilds landing on the reels will also become sticky and you will keep getting re-spins until there are no more wilds on the reels. 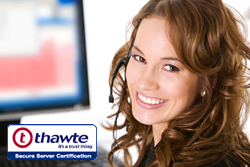 Super Sumo comes with an uncomplicated paytable which features two sets of symbols. The Card symbols pay for as little as 3 hits on the reels – from a minimum of 5 credits for 3 all the way up to 60 credits for a maximum of 5. Then come the four Sumo Wrestlers, each of which come in a coloured circle and are distinguished by their emotion. The Disgusted, Fearful and Sad Sumo Wrestlers bring payouts that range from 10 credits for three of a kind, to a maximum of 100 for five hits on the reel. The Angry Sumo Wrestler pays better, with a maximum of 200 credits for five of a kind and a minimum of 25 credits for landing three angry Sumos. Of course, you’ll be a happy wrestler if you land 5 Wilds on the Reels since these offer a whopping 500 credits on your original wager besides triggering the Free Spins mode. Super Sumo comes with a traditional Japanese temple in the background, against a rising sun – on a blue background. The symbols are drawn with amazing detail especially the four cartoonist Sumo Wrestlers who come at you on the reels with their different states of mind. The interface is clean and simple too – you can choose how much to bet by clicking on the coin button at the bottom, and you’ll also see your overall balance and win amounts, or choose to set the game to run in Autospin with as many automatic spins as you desire. A great online slot lands with a thud on Videoslots.com, all the way from Japan, thanks to Fantasma Games. Are you ready to square off and wrestle your opponent off the ring? Get spinning! Fantasma Games are new on the market, having been founded only in 2016. They are new online casino software providers with offices in Stockholm, Sweden, and have so far focused on the creation of slots for online casino websites. Their first game was only released in 2017 and there are more games to be released in the coming months. Fantasma is a small firm that has so far remained under the radar, however, they plan further expansion and a recruitment drive to be able to achieve their aims. The company aims to become a leading software provider in the gaming industry, especially when it comes to creating innovative products. According to their website, they are “determined to change how players perceive video slots” – an intriguing way of promoting the products they plan to release on the market in the coming years. Their first production clearly shows their development team’s skills and dedication and breaks new ground in the world of online slots, which will allow them to differentiate their offer as their collection grows. Fantasma have attracted a lot of attention by ensuring players get the chance to test these releases. Their first game ever released was available on the Microgaming Quickfire platform, one of the most renowned platforms of the industry, meaning Fantasma’s portfolio is included together with hundreds of other popular titles in the world’s biggest and best known online casinos.